Want to Join Team Awesome? 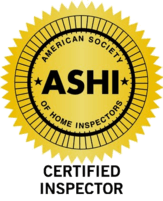 AZ Property Inspections is always on the lookout for our next great Inspector. If you are a licensed Inspector in the state of Arizona and are looking	for a rewarding opportunity with competitive compensation and health benefits,	please fill out the submission form to the right for consideration of joining our team. Are you certified to conduct termite inspections? Are you a member of ASHI or InterNACHI?